"I'm not sure I can go on like this." My practice is conveniently located in the Pantiles, Tunbridge Wells. Easily accessible via all modes of transport, there is also disabled parking right outside the building and a lift for disabled access. Note that the counselling rooms are located within TWC Chiropractic on the lower ground floor of Royal Victoria House. 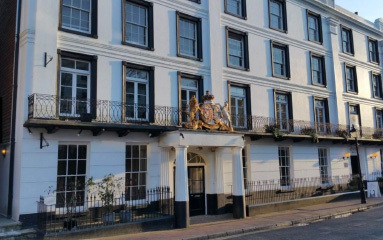 By car: Tunbridge Wells is situated on the A26 and A21 routes from London to the South Coast and can be reached from the M20 and M25 motorways within 20 minutes by car. Parking: There is ample parking in the Linden Park Road pay and display car park directly behind the practice. There are also parking bays further along the Linden Park Road which allow 2 hours free parking. By Bus: Details of Tunbridge Wells bus services and bus timetable can be found on the Arriva website www.arrivabus.co.uk. The 281 Town Centre bus service links the top of Tunbridge Wells with the Pantiles. By Train: Tunbridge Wells is on the mainline rail service from Charing Cross to Hastings. Direct services run regularly from Sevenoaks, Hildenborough, Tonbridge, High Brooms, Frant, Stonegate, St Leonards Warrior Square, Robertsbridge and Battle. The practice is a 10 minute walk from the rail station.